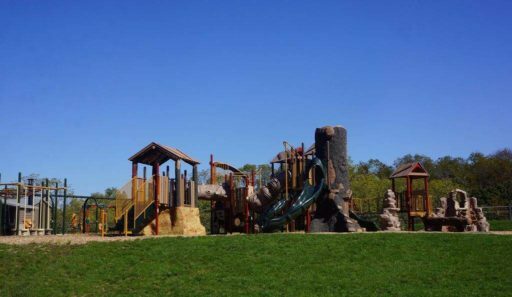 For Cross Creek County Park, natural gas development has brought tremendous benefits and much needed upgrades, all while protecting the environment. When Washington County signed a lease with Range Resources to develop natural gas in Cross Creek County Park, the county and the company came together on two common goals: responsibly develop the resources under the 2,000-acre park, and provide maximum benefit to the taxpayers and residents of Washington County. Recently, the county unveiled a brand-new walking trail. Just over three miles, the trail begins near the new Thompson Hill boat launch and playground area. The walking trail is the culmination of a multi-year partnership between the county and Range Resources that has also included upgrades like new playgrounds, a new boat launch area, new pavilions, parking and restrooms in Cross Creek County Park and in other County parks. The upgrades at Cross Creek County Park have been almost solely funded by dollars generated from natural gas wells safely drilled by Range. Currently, Range has over 30 wells in production in Cross Creek County Park. The natural gas wells are located on multiple locations, and have generated more than $40 million for Washington County. Maggi’s fellow County Commissioner Harlan Shober points to a partnership between Range Resources and the county as the key to recent improvements. The walking trail was in the works for several years, but like any project that involves excavating, moving and redistributing soil – it required many hours of planning and the acquisition of all necessary permits. Construction began in 2016, under the supervision of Range Resources Civil and Environmental Engineer, Matt Fortney. In addition to visible upgrades to the park, there were other projects that were less immediately apparent, but just as important. In 2014, Range began a collaboration with the National Wild Turkey Federation (NWTF), the county, and NiSource Midstream to restore two areas that added up to approximately 33-acres of land in Cross Creek County Park. Prior to any restoration efforts taking place – the targeted land was mostly blanketed with an inhospitable mix of weeds and invasive plant species. A plan to reclaim, restore and replant the land with a mix of clovers and wildflowers was developed – and now the area is a wildlife friendly habitat that attracts and nurtures an array of turkeys, smaller birds, deer and other wildlife. Range Resources Environmental Compliance Policy Manager Jeremy Matinko was involved in the NWTF effort from the beginning. “It’s rewarding to work for a company that gets involved in conservation projects like this that benefit the community, and also demonstrate that energy development and wildlife can easily coexist,” says Matinko. Range’s Area Water Supervisor Justin Welker oversaw the reclamation of Range’s temporary water transfer line right of way. Washington County Commissioner Diana Irey Vaughan joins her colleagues Larry Maggi and Harlan Shober in looking forward to the park enriching the lives of Washington County residents for many years to come. 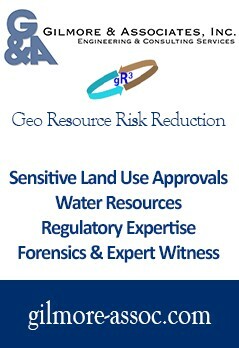 Reposted from Range Resources News.